Which one is “better” depends a LOT on the specific needs of your business! As we explore this topic in more detail, let’s break things down into four (4) key areas of comparison. Let’s assume for a moment that we’re comparing a 5 user installation of QBO and QBE. As a QBE reseller, I offer a 5 user QuickBooks Enterprise silver subscription at the discounted price of $2,464 per year (sales taxes are extra, of course). A monthly payment plan is also available for Enterprise, but the cost is higher. 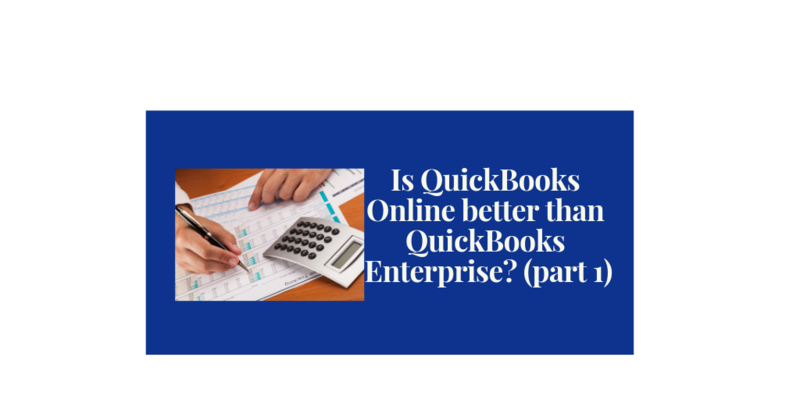 I am able to offer QuickBooks Online Plus (the closest match to Enterprise) at a discounted rate for the first 12 months at $30 per month or $360 per year (sales taxes are extra). Note that this subscription is NOT per user per month. QBO Plus can have up to 5 users. Remember, both QBE and QBO are subscription-based now, so it is an ongoing fee either way, not a “one and done” like Enterprise used to be before 2016. QBO: $360 in year one. $720 in year two and beyond. Seems to be a compelling argument in favor of QBO when it comes to the pricing comparison. As businesses become more mobile, many prefer their accounting software be mobile too. That means having it available 24/7, whether in or out of the office. QBE is designed to install and run on local computers and networks. It is NOT a web-based software product. QBE is not “cloud-based” software! But it can be set up to run in the cloud. QBO was built from the ground up to be a web-based solution. It is available through any web browser. In addition, there is an app for Windows users so they can run it on their desktop computers as well. 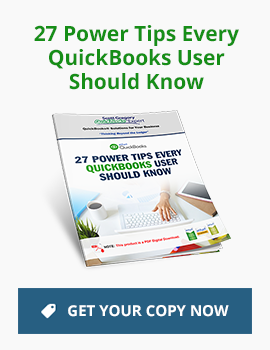 There are no extra costs or fees for 24/7 access to QBO – it is part of your subscription price. Naturally, you need to have an internet connection or access to a mobile device to tap into QBO. Not a problem for most businesses today. Seems to be a compelling argument in favor of QBO when it comes to the 24/7 access comparison. Feel free to share it in the comments box below. Readers will love to hear from those living with either QBE or QBO and how it is impacting their business!